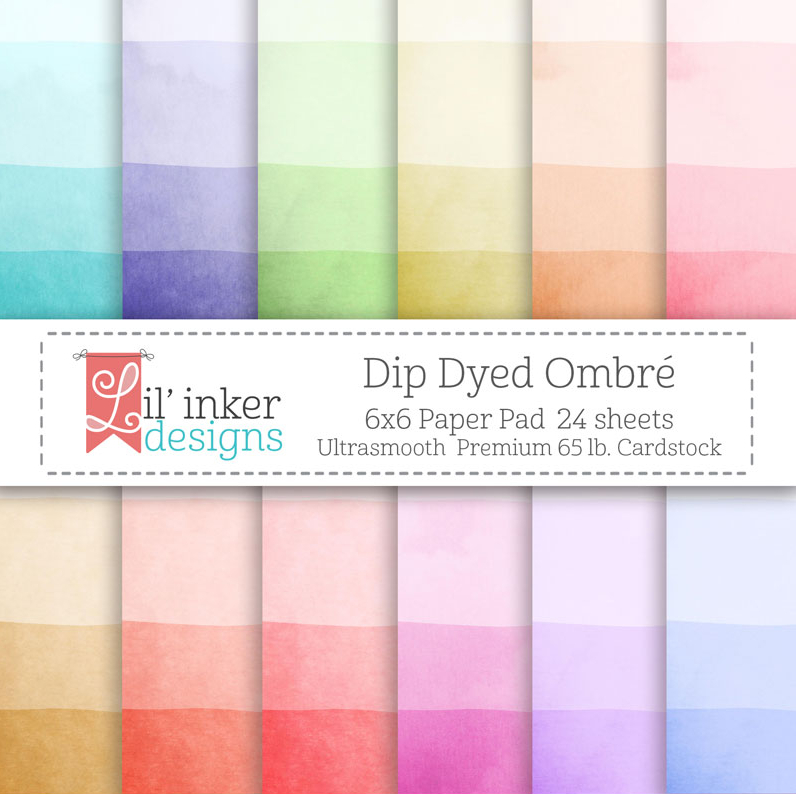 Welcome to Day 1 of the Lil' Inker Designs June Release! 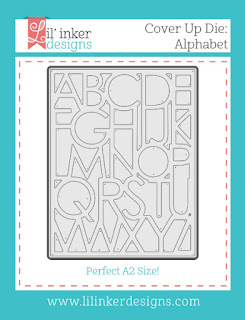 This release is FULL of amazing dies and stamps that will be perfect for BABY and GRADS.......are you ready? 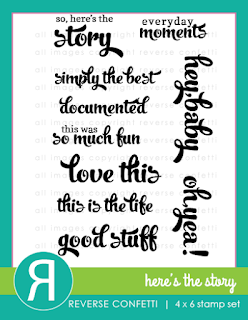 You should have arrived from the Laura Williams's blog. But guess what?? The whole new release is now available and can be found HERE!!! 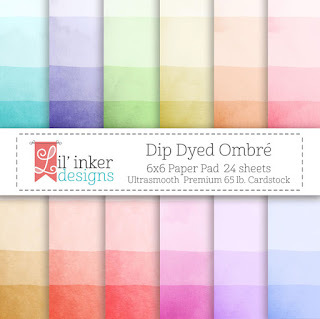 I want to introduce you to these AMAZING new paper collections from Lil' Inker Designs!!! 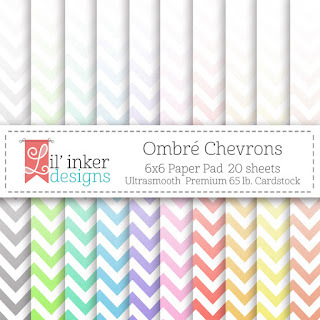 Ombre Paper Pads!! Aren't these fabulous????!!!! Baby cards are something I don't usually make but with these CUTIE new goodies from Lil' Inker Designs.......making future baby cards will be a cinch! 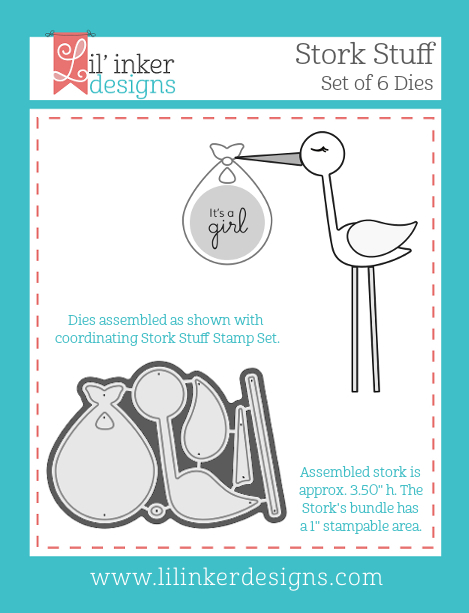 I have 2 cards to share today using this adorable new Stork Stuff stamp/matching die set and new Baby Word Die. I started by diecutting the new Cover Up Die: Eyelet with vellum, trimmed, and stitched it to a white layer leaving the ends loose. 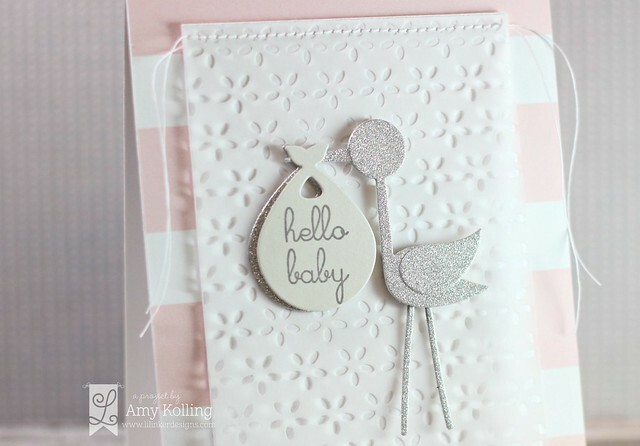 After diecutting the stork in silver glitter paper and piecing together, I layered it over the vellum. 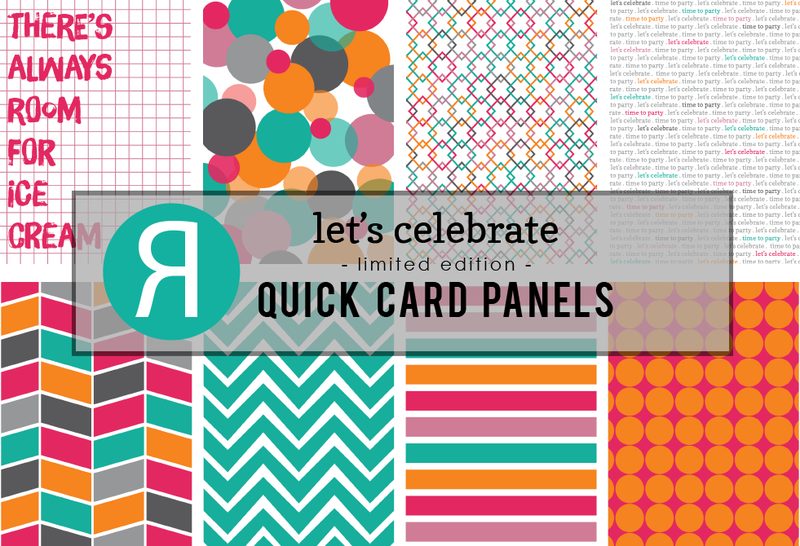 This panel was layered over a pink/white striped pattern paper. Now......I couldn't stop there, I had to make a "boyish" version too but using other new products. 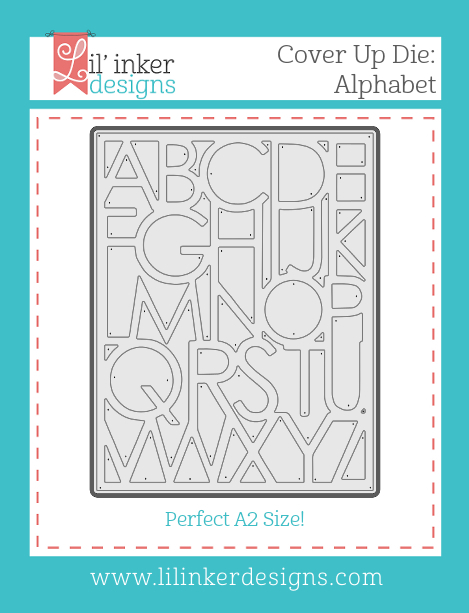 This one started out with a layer diecut with the new Cover Up Die: Alphabet. 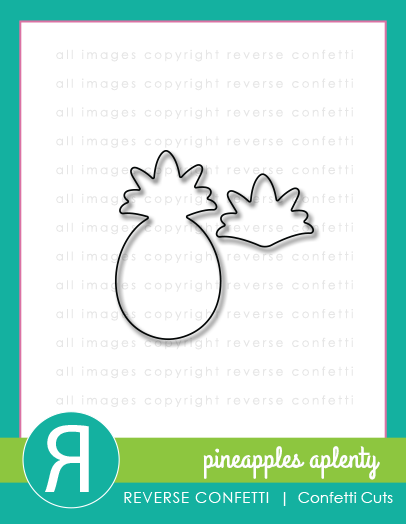 Here I left ALL the pieces intact after diecutting and adhered to a white card. This was made easy using the handy Press 'n Seal that many of you have in your kitchen! 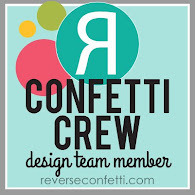 I've used the current SFYTT over at the Reverse Confetti Blog. I added a little more layering since I added in tourquoise! 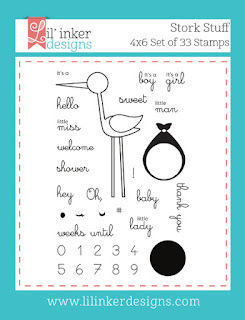 I just love this sentiment from the Here's the Story stamp set. 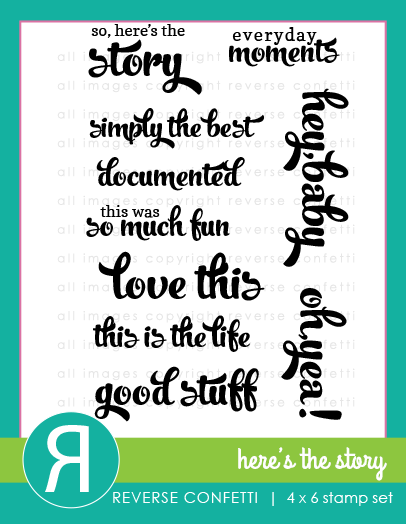 So bold and what's not to love about that font???!! I added in some diecut banners from the Stitched Flag Trio Confetti Cuts and some Circle Garland Confetti Cuts. 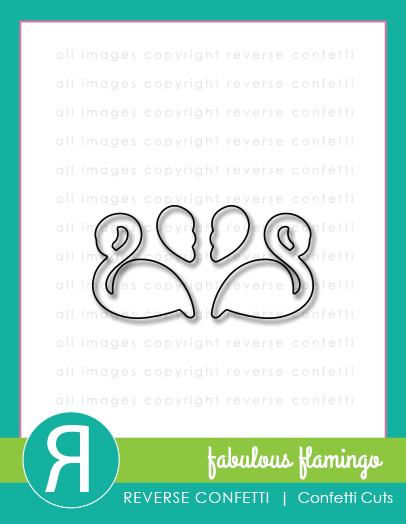 Of course, I had to add in a few Sparkling Clear Sequins from Pretty Pink Posh! Hello! Sharing a fun card for the current Simon Says Stamp Wednesday Challenge (STENCIL it) using an amazing stamp set called Pineapples Aplenty from Reverse Confetti. 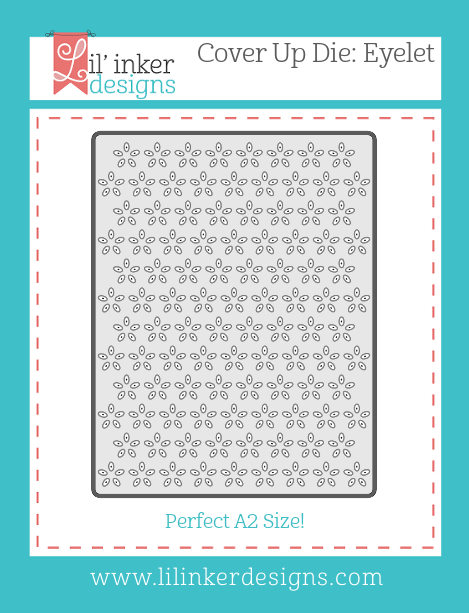 I had a little fun with some scrap strips of pattern paper for this one which was paired with a lightly stenciled polka dot background! 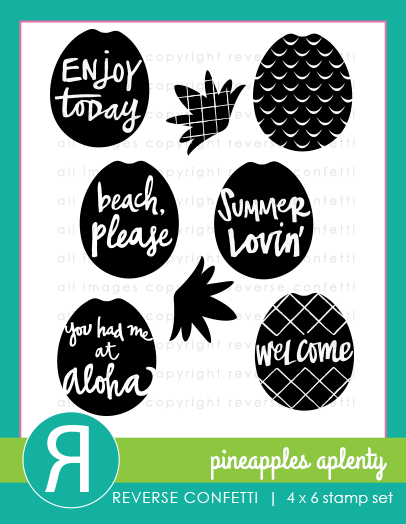 Fun patterns that I wouldn't normally "put together" but I like how it turned out! 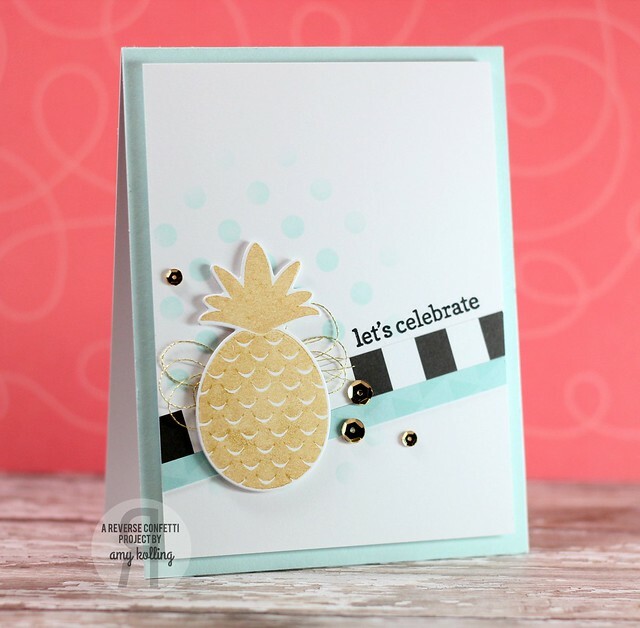 I stamped the pineapple in Gold Delicata ink and diecut with the coordinating Confetti Cuts. I added a fun little loopy mess of gold thread behind the focal point. This wouldn't be complete without some Pretty Pink Posh Gold sequins in 6mm and 4mm. Hello! I have been dealing with some severe shoulder pain which has dampered my crafty time. Yesterday, I couldn't take the pain any more. I went to the chiropractor and I will go again next week and the next. Hopefully, the pain will subside as it's difficult to even get sleep because I can't get in a comfortable position with no pain. Life goes on.....work, family, crafty time. Anyway, you are here for my flamingo card!! I have been seeing flamingos EVERYWHERE!!!! 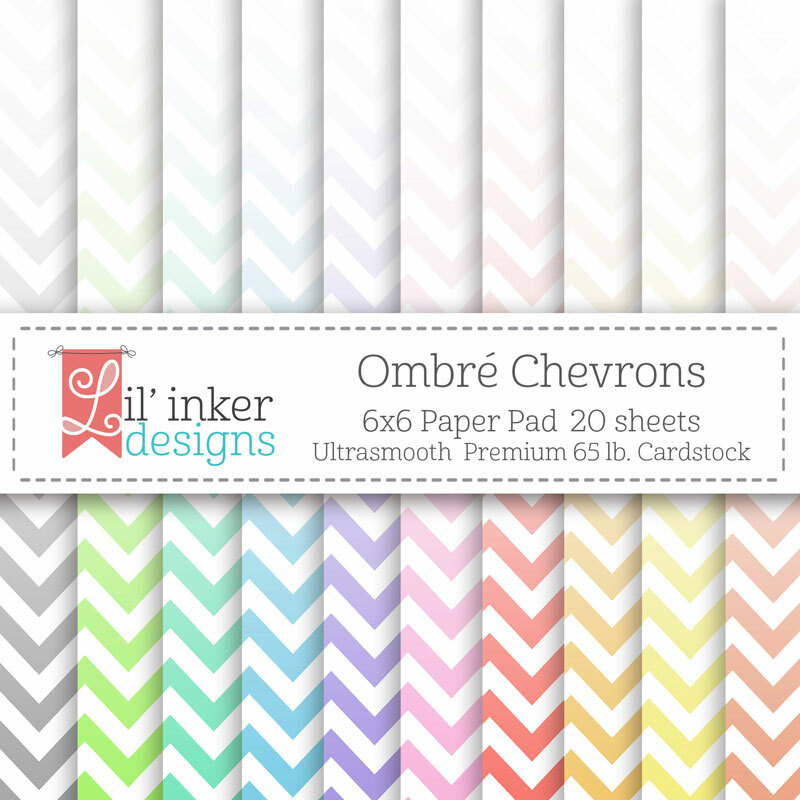 Everything from party decor to fashion. 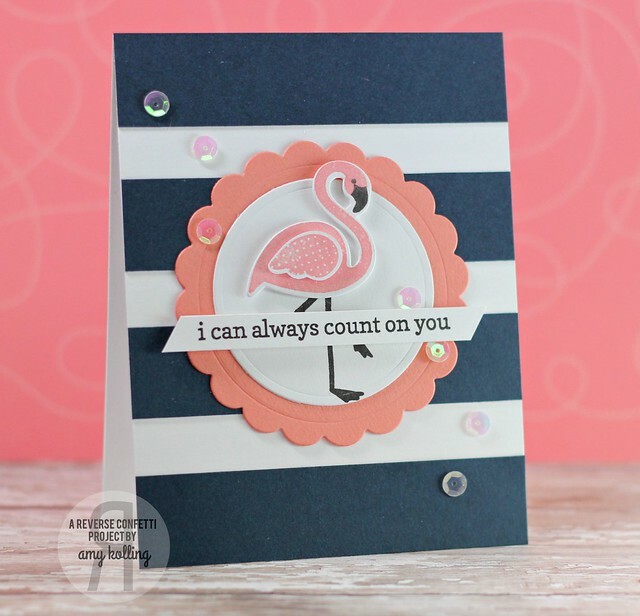 So I brought out my Fabulous Flamingos and coordinating Confetti Cuts from Reverse Confetti. 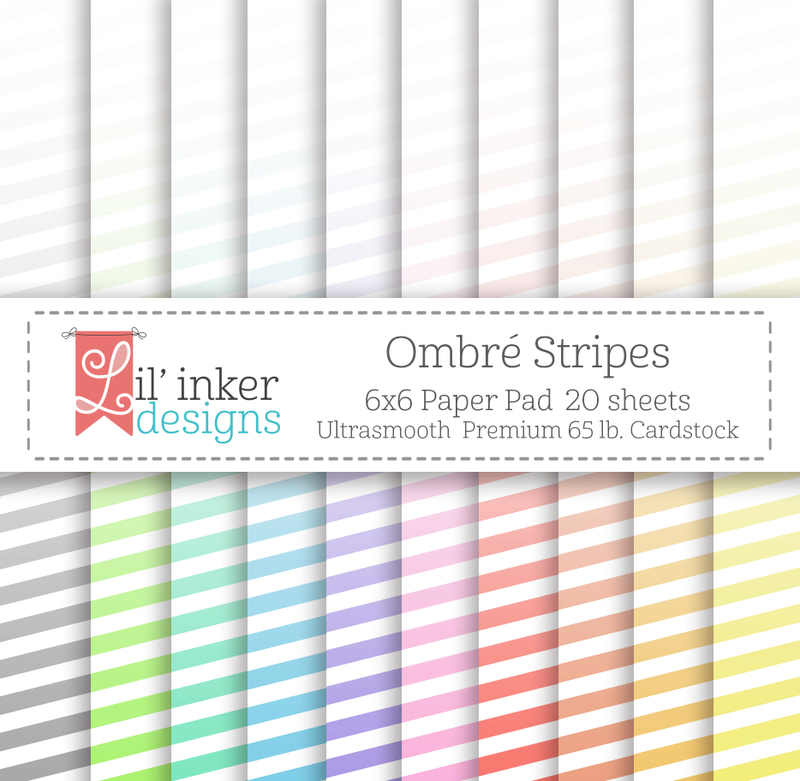 There's no technique to this card......just diecuts and stripes! 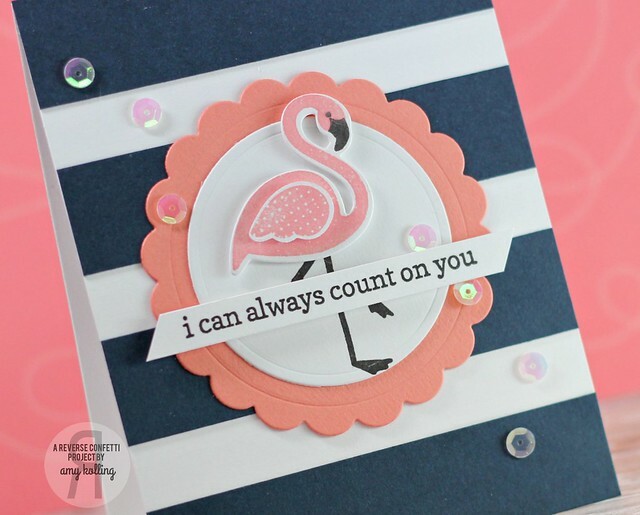 My flamingo was layered over some Circles 'n Scallops Confetti Cuts. 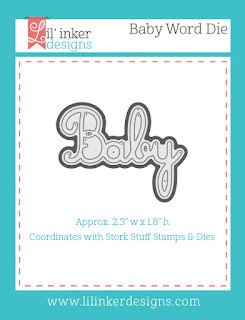 The sentiment, from Fancy Word Coordinates, was stamped on a thin strip of cardstock and the ends trimmed at an angle. 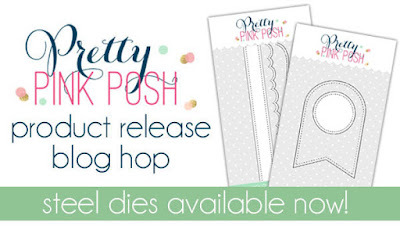 Welcome to the Pretty Pink Posh New Product Release Hop! 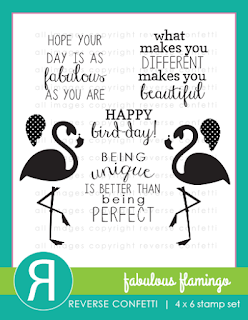 I am so honored to work with these products.......Paulina has done it again! 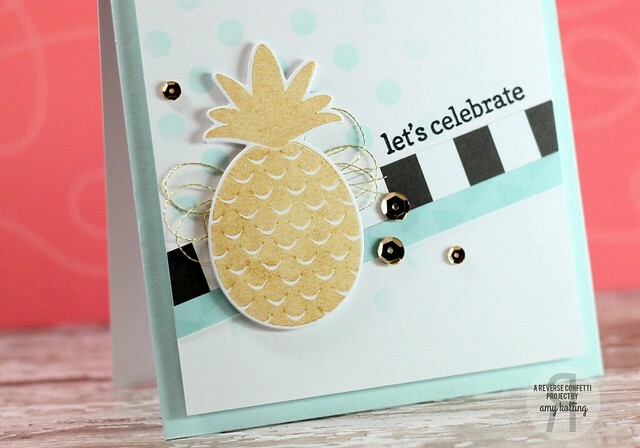 No doubt you've seen some inspiration out there with the new product since its debut last week but the DT is now here for a fabulous Blog Hop showcasing all the new goodies! New release includes: 2 new die sets, 5 colors of iridescent sequins, and a new embellishment kit!! 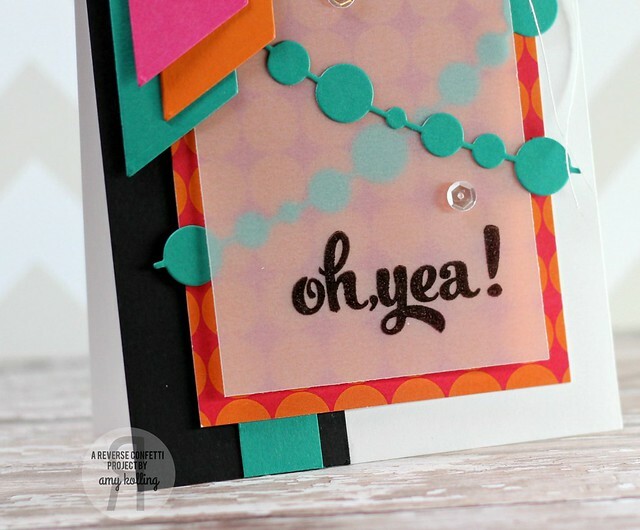 I have 2 cards to share today using the new dies and some of the new sequins. 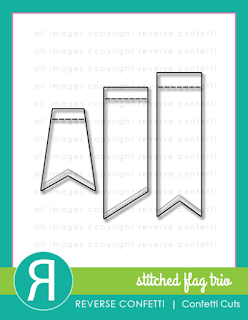 First up is this awesome new die called Stitched Banner Duo 2. It comes attached but I left it intact because it makes the perfect die for making shaker cards! 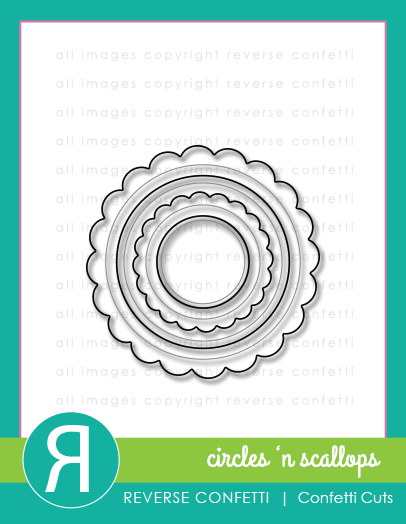 I used the stitched circle and inset it inside the shaker. For some added stitching detail, I used the long stitched border from Stitched Borders 2 and made my own stitched frame. I embellished my shaker with the CUTEST kitty from Smart Kitty. 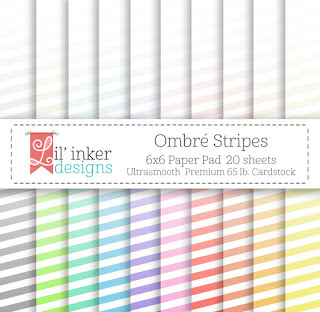 For my next card, I used the stitched straight panel from Stitched Borders 3 and did some colored stripes that pefectly match the gorgeous colors in the new Embellishment Kit!! 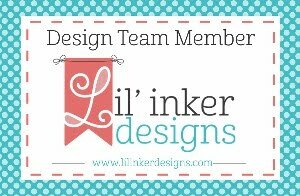 I wanted to really show off the stitching detail in this border!!! I added in a large Hello Die from SSS and embellished with some twine from the Embellishment Kit. A few mini sequins from Enchanted Garden were scattered around the "Hello". ***Ok.....now to the details of the PRIZES!!! 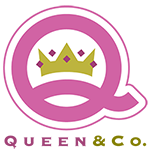 There are 2 $25 gift certificates up for grabs and winners will be randomly picked from along the blog hop. 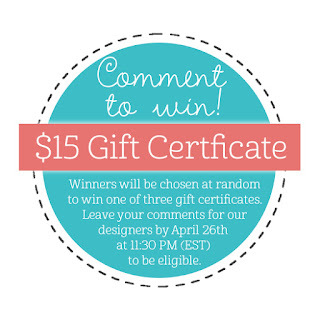 Comments must be left by 11:59 PDT on 5/18/2015. 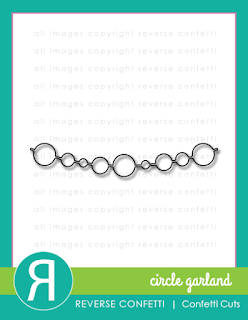 Winners will be announced on the PPP blog.